The Colombo City Centre is now the site of a brand new ‘W’ Showroom, brought by D. Samson & Sons Ltd., a member of the DSI Samson Group. The third in the line of showrooms in Sri Lanka, it was opened on 28 January. W stores are also located in Kandy and Bambalapitiya. The opening ceremony was graced by D. Samson & Sons Ltd. emeritus Chairman Deshamanya Nandadasa Rajapaksa, D. Samson & Sons Managing Director Thusitha Rajapaksa, D. Samson & Sons Directors Kaushalya Perera and Asanka Rajapaksa, together with other members of the organisation’s management. 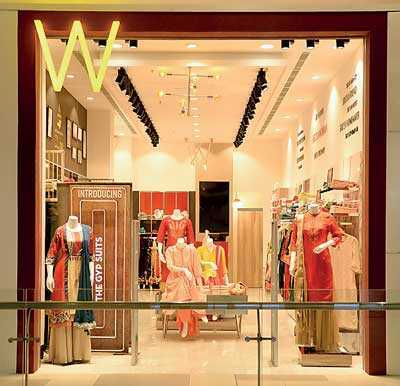 W is an Indian brand with a strong presence in its native country with over 300 stores and 1500 touch points across India. The brand combines fashion and functionality in women’s clothing and consists of everything ranging from salwar kameez, tunics, work-wear, festive-wear, and fusion-wear compromising of skirts and trousers. W offers its customers contemporary and fashionable garments that compliment a woman as she seamlessly transits from office to smart casual. W clothes are designed with creativity and care. One of the largest retail networks in the country, D. Samson & Sons serves as the sole distributor of a number of popular international brands such as Clarks, Florsheim, Red Tape, Reebok, Puma, New Balance, Fila, Arrow, U.S Polo Assn., W and Aurelia. The company network spans more than 200 company outlets, 4000 dealers and 50 sales representatives islandwide, all of which are involved in fulfilling the company’s vision of creating a customer-centric business.